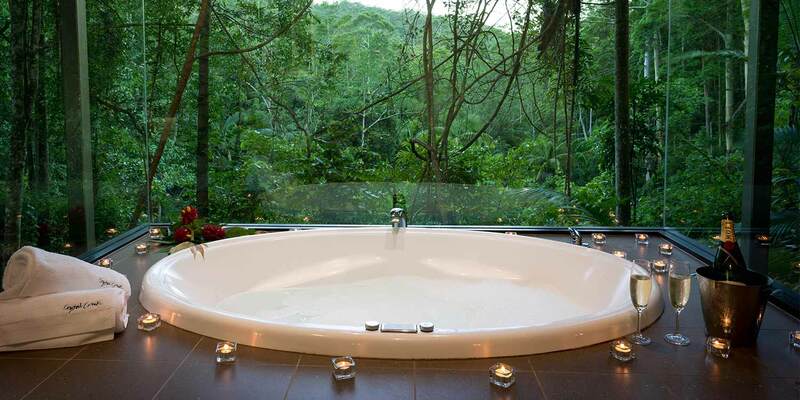 The ultimate wedding anniversary in the rainforest. 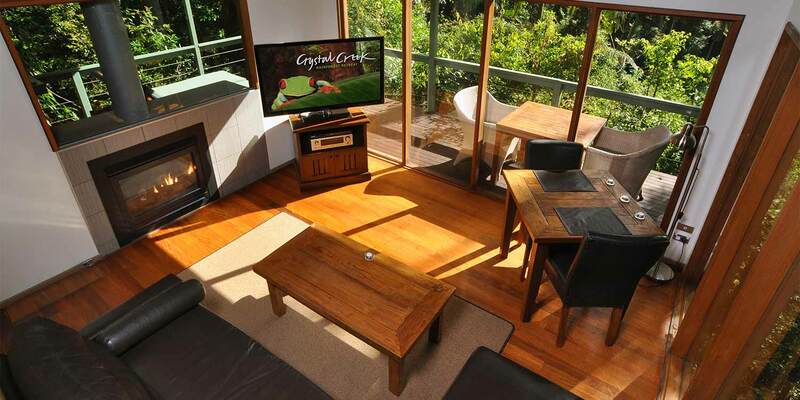 Luxury self contained holiday accommodation - Rainforest Canopy Bungalows - Crystal Creek Rainforest Retreat. 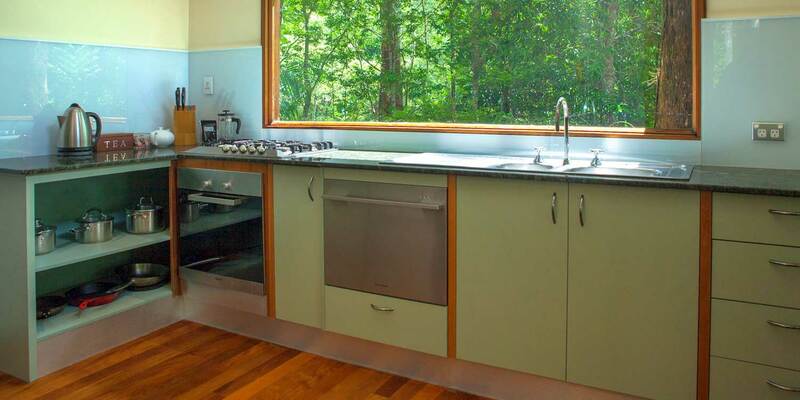 Enter these bungalows through the spacious, thoroughly equipped kitchen with full-sized oven. Wander through to the living/dining room with its cosy fireplace and marvel at the high oak-lined, curved ceiling sweeping over both levels of this open split-level design. 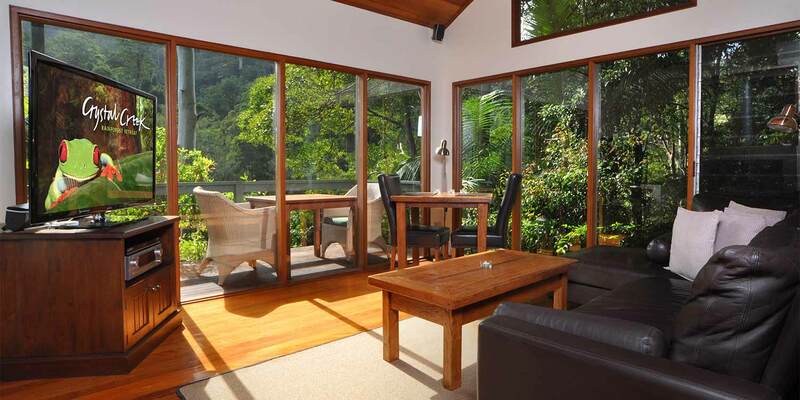 Expansive windows provide tranquil views of the rainforest. A large covered deck is equipped with barbecue, table setting and lounge chairs where you can enjoy a book or simply lay back, relax and absorb the surrounding beauty. There is a top-quality TV/DVD/Blu-ray/CD surround sound system with speakers in every room. Reverse-cycle air conditioning throughout, including the bathroom, keeps you comfy all year round. Up the stairs to the mezzanine level is the bedroom with king-sized bed. 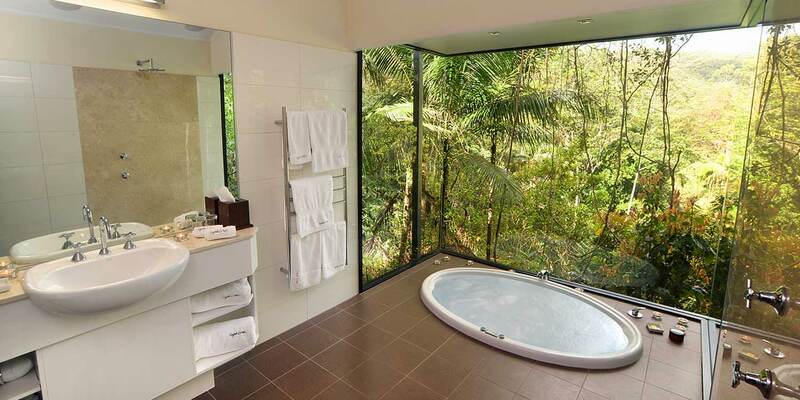 Its floor-to-ceiling windows overlooking the pristine rainforest are continued in the en suite bathroom with a walk-in shower and large sunken spa bath in its own glass enclave – luxuriate in a bubbling spa surrounded by rainforest, floor-to-ceiling on three sides. 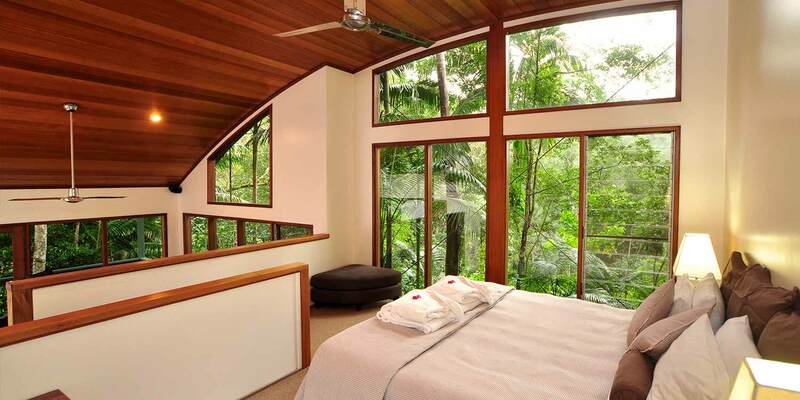 Crystal Creek Rainforest Retreat has two Rainforest Canopy Bungalows, called Kamala and Booyong. Each accommodates one couple only. 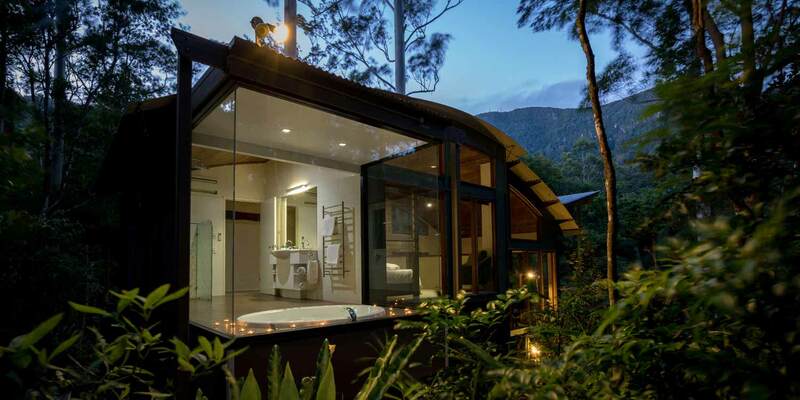 Luxury Mountain View Lodges feature breathtaking aspects to the surrounding tropical landscape, either high in the Retreat or immersed in the rainforest. The private decks incorporate an outdoor kitchen and large endless heated plunge pools featuring wet edges on three sides. With ultra-spacious open plans, each Luxury Lodge features a double-sided fireplace, generous walk-in wardrobe and much more. Want a complete break away from the stresses of life? Or would you love to create an intensely romantic time you’ll both remember forever? 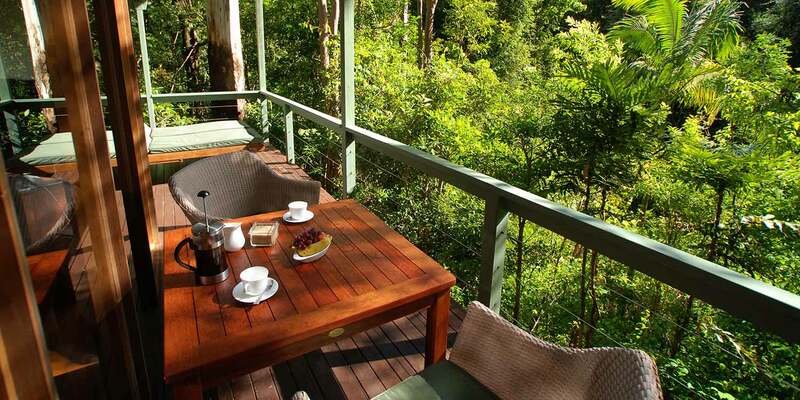 At Crystal Creek Rainforest Retreat we’re the experts in relaxation and romance. Our Packages include extra touches that will make your stay absolutely unforgettable. And book one of our Experiences as an exquisite setting for that life-changing moment! 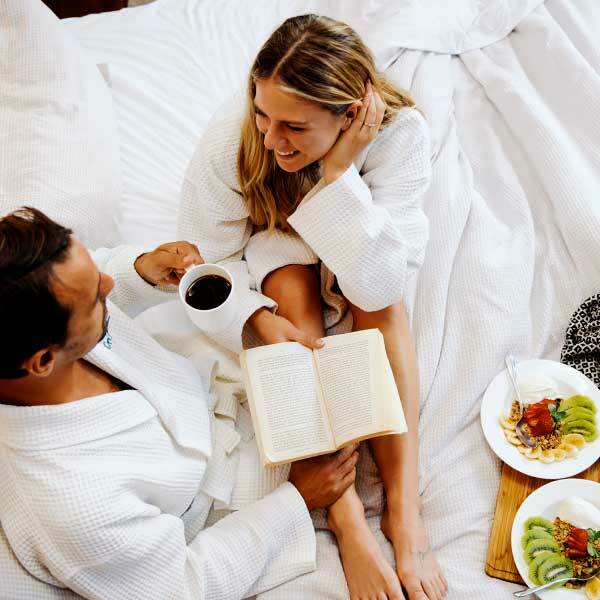 For an even more relaxing break away, add a Breakfast Basket for two people each morning and two Delicious Dinners of your choice. We’re a couples-only Retreat, so let us complete your honeymoon, proposal or any significant occasion as only we can. Our combos of extras will let you sweep your loved one off their feet. 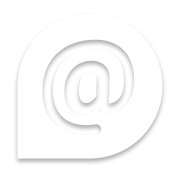 If you have a question to ask that could change your lives, our Retreat is the place to be. With the magic of the rainforest as a backdrop, we have some unique and wonderful ways to get your loved one to say … yes! Complimentary bottle of fine Australian wine and 20 candles in your bungalow on arrival. Complimentary bottle of Moët champagne** and 20 candles in your bungalow on arrival. *Full rate tariff applies on weekends, public holidays and from 24 December 2019 to 7 January 2020. **Or non-alcoholic sparkling elderflower wine. 48 hours’ notice is requested for all meals. Have a Breakfast Basket each morning for two (see our menu) and any two Delicious Dinners** for two (see our menu). Breakfast Basket each morning for 2 people. 2 x Delicious Dinners for 2 people. Complimentary bottle of Moët champagne*** and 20 candles in your bungalow on arrival. *Standard tariff applies on weekends, public holidays and from 24 December 2019 to 7 January 2020. **Delicious Dinners are upgradable to Gourmet Hampers. ***Or non-alcoholic sparkling elderflower wine. a lovely assortment of romantic gifts for you and your partner to enjoy. Breakfast Basket each morning for 2 people (see our menu). 2x Delicious Dinners** for 2 people (see our menu). Picnic Pack to take to your own secret rockpool (see our menu). 11 April 2016Thanks for the hospitality and sharing with us the beauty of this place. It surely was a magical Honeymoon. 14 January 2017Crystal Creek was even better than we had hoped and imagined. Kamala was wonderful accommodation and the view was spectacular. So wonderful to relax in the tree tops. We will be back. 22 August 2015Gorgeous surroundings and a romantic room. We have loved every second of our stay here. Thank you all so much. 28 August 2016What a gem. 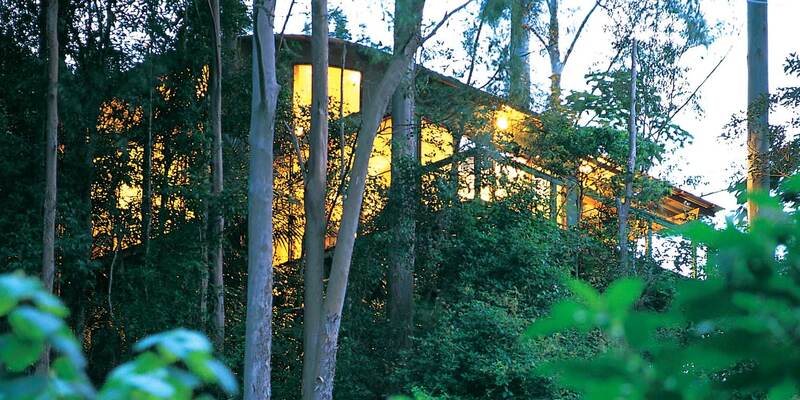 We spent 2 nights here at the Kamala rainforest cabin. With a gas fire and two person spa we didn’t leave the cabin from arrival to departure. The weather was stunning and this cabin gets sun all day on the deck. We had one dinner and two breakfast hampers all in the fridge when we arrived so there was no disturbances. We really cannot fault it other than an outdoor heater would have been nice! We will definitely be back. 10 January 2015How sad to have to leave this amazing place! What a perfect holiday. Dipped in the swimming holes (rain and shine) and tracked to the lookout. Loved it!! 29 September 2015This is the most beautiful environment to enjoy a relaxing few days. We have just got engaged and couldn’t have asked for a more stunning place to have this special moment! Thank you! We’ll definitely be back in the future! 25 September 2015Thank you for the most beautiful place on earth, we enjoyed celebrating our Honeymoon here. The food, the rainforest walks were just amazing. We will definitely be returning in the future. 29 September 2018A wonderful time celebrating our 50th Wedding Anniversary. We feel grateful we are able to enjoy this beautiful spot. We have done every walk listed and loved it. The facilities and service were excellent. “The sounds of the earth are like music”. Thank you. 1 November 2015What an amazing escape, so relaxing! We stayed at Booyong and it was perfect. The hikes are just beautiful and the hammocks are the perfect way to cool down! We saw the fireflies and the glow worms as well. We definitely hope to return. A wonderful way to start our babymoon getaway. 9 January 2018Thank you for making such a beautiful place that we could celebrate with a fairytale anniversary for my partner and I. I will be recommending this place to all my friends and family. 12 December 2017To the most wonderful venue and team we were lucky enough to find for our special day. Words cannot describe how grateful and over the moon Ryan and I have been with our elopement. The attention to detail, kindness, support and beauty of CCRR is something we will forever cherish. Thank you so much.